Restrictions on related party transactions are relatively new to the UAE. In a jurisdiction where family-owned businesses controls significant portion of the market, the restrictions provoked a storm of controversy in the legal community when introduced back in 2015 pursuant to the new Federal Commercial Companies Law (CCL). 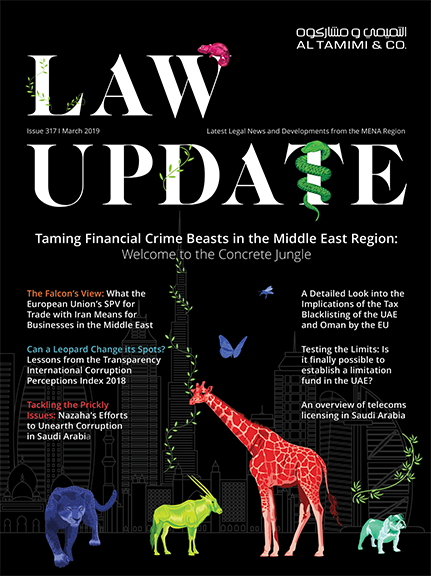 In particular, there was a concern that such restrictions could have significant implications for corporate transactions in the UAE if they extended to limited liability companies (LLCs). However, such concerns were addressed by Ministerial Decree No. 272 of 2016 which, among other things, explicitly excluded the application of the Article 152 of the Companies Law (which regulates related party transactions) on LLCs. The position concerning listed companies is addressed by Regulations No. (7 R.M) Concerning Listed Public Joint Stock Companies (PJSCs) Standards of Institutional Discipline and Governance (Governance Rules). The Governance Rules apply additional restrictions and requirements on listed PJSCs when it comes to related party transactions. In this article, we briefly address issues relating to the restrictions and requirements applied on listed companies pursuant to the Governance Rules together with what we have been touching on the ground in this regard. Related party transactions are often confused with transactions involving conflict of interest. However, related party transactions and transactions involving conflict of interest are different. Transactions involving conflict of interest only apply in respect of board members and are not necessarily limited to transactions entered directly with board members but are concerned with any transaction in which a board member may have an interest. A related party transaction, on the other hand, involves transactions entered into with board members, members of the senior executive management, employees of the company, and the companies in which any of such persons holds 30% or more of its capital, as well as subsidiaries, sister and affiliate companies. The CCL provides that a company shall not enter into a transaction with a related party unless approved by the board for transactions equal or less than 5% of the company’s capital. Where this percentage is exceeded, the approval of the general assembly is required. Further, an evaluator accredited by the Securities and Commodities Authority (SCA) is required to evaluate transactions exceeding 5% of the company’s capital. The term “related party” is defined widely under the CCL to include the chairman, the directors, senior executive management and employees (and any companies in which such persons hold at least 30% of the share capital) as well as subsidiary, sister or affiliate companies. The Governance Rules (which only apply to listed companies) use the same definition but – to widen the scope of application – include also definitions for the terms “subsidiary company” (owned by 50% or more or under full control of another company), “affiliate company” (owned by another company by more than 25% but less than 50%), “sister company” (being a company that belongs to the same group to whom another company belongs). Unlike the CCL, the Governance Rules define the term transaction as ‘dealings, contracts, or agreements entered into by the a listed public joint stock company, and which do not fall within the main activity of the company or that includes preferential conditions which the company does not usually grant to parties dealing with it’. Thus, theoretically speaking, a transaction entered into with a related party on arm’s length basis, which falls within the listed company’s activity, should not be subject to the related party rules set out under the Governance Rules. However, in practice, management of listed companies tends to take a conservative approach and have any transaction with a related party channelled through the process prescribed by the law for transactions falling outside the company’s main activities. Certain provisions of the Governance Rules on related party transactions have not yet been fully tested to date. The Governance Rules set out a number of requirements that a listed company and its management have to comply with before and after entering into a related party transaction. It is worth noting the SCA has shown high levels of scrutiny when reviewing related party transactions. Prior to presenting the related party transaction to the board and general assembly of the company, the details of the related party transaction have to be presented to the board audit committee to assess the transaction and issue its recommendations. In addition, general disclosure requirements also apply whereby the agenda of the board meeting to which the related party transaction is presented for approval has to be disclosed to the SCA, the relevant financial market and the company’s website at least two days prior to the date of the meeting. Results of the board meeting shall be disclosed to the SCA, the relevant financial market and the company’s website on the same day of the meeting. As noted earlier, where a transaction exceeds 5% of the company’s capital, it must be evaluated by an accredited evaluator and subsequently approved by the general assembly. The Governance Rules set out certain additional requirements companies must comply with after entering into a related party transaction. Most importantly is that the chairman of the company must notify SCA of the details of the transaction, the nature of and the benefit to the related party in the transaction, together with a written confirmation that the terms of such related party transaction are fair, reasonable and in favour of the company’s shareholders. Further, the company shall maintain a special register to record related party transactions and must brief the shareholders of such transactions in the relevant general assembly meeting. Information rights also apply. Under the Governance Rules, any shareholder holding 5% or more of the share capital is entitled to view all documents and information pertaining a related party transaction. That said, in addition, any shareholder (even those holding less than 5%) is entitled to view such documents and information in the general assembly deliberating the transaction. Is it possible to avoid the Governance Rules? In practice, a listed company may avoid the application of the requirements prescribed by the Governance Rules for different reasons (in most of the case to save time and mitigate additional cost). Unlike other jurisdictions in the region, which explicitly prohibit structures tailored to circumvent the applicable rules, neither the CCL nor the Governance Rules include such a catch-all provision. Thus far, we have not touched upon any similar cases with the SCA or before courts. However, we except that the SCA or a competent court may exercise some discretion and take the view that related party transactions rules should apply to transactions that may confer a benefit to a related party (particularly, if such transaction is not in the best interest of the company and shareholders). Despite the lack of a catch-all provision, the CCL protects the shareholders against any transaction entered to their detriment. Generally, the CCL nullifies any resolution issued (without consideration of the company’s interest) in the interest of a certain category of shareholder or where it damages the company’s interest or creates a special benefit to a related party or to others. The CCL, however, provides for sixty-day limit as of the date of the issuance of the appealed resolution to bring the claim. The Governance Rules ignore this sixty-day’ time limit and provide that a shareholder who owns 5% or more of the company capital is entitled to challenge a related-party transaction. If, in such claim, it has been established that the transaction is unfair or involves a conflict of interest and incurs damage to the shareholders, the court may cancel the transaction and oblige the related party to reimburse the company for profits or benefits gained from this transaction and to compensate the company for any other damages. Under the CCL, directors shall be liable to the company, shareholders and third party for all actions involving fraud, abuse of authority, any violation of the law or the company’s articles of association and for errors in management. Such a liability is assumed by all directors if the error results from a unanimously-approved resolution. If the resolution in question is approved by a majority, directors who objected this resolution will not be liable for it if their objection is recorded in the meeting minutes. If any director is absent from the meeting when the resolution was taken, he will not be released from lability unless it is proved that he was not aware of the resolution or if he was aware of it but unable to object to it. The Governance Rules explicitly address the liability of related parties and the directors when it comes to the violation of the rules governing related party transactions. It provides that the relevant related party and all directors who approved the transaction and did not object it shall be liable to compensate the company for the damage incurred as a result of this related party transaction.